With more than 22 years of experience in biotechnology patent prosecution and counseling, Rebecca offers intellectual property strategy, new application preparation, patent prosecution (US and foreign), preparation and negotiation of IP transactions, USPTO contentious practice, and the full scope of counseling services to clients of various sizes. Rebecca has earned a reputation for excellence in her field, having been recognized as an IP Star by both Managing Intellectual Property and LMG Life Sciences and ranked with an AV Preeminent® Peer Review Rating from Martindale-Hubble.® Rebecca has been described as protecting inventions in a “commercially viable and strategic way” and having “excellent attention to detail and quality of work.” Rebecca “quickly wins—and maintains—the trust of those she works with.” She has a special interest in counseling clients on patent application filing and developing worldwide prosecution strategies in concert with clients’ business goals. She has worked with biotech start-ups, research foundations, universities, and pharmaceutical companies, ranging from early-stage to publicly-traded companies. She has managed and directed the US and international patent portfolios for US clients and has overseen the US patent portfolio for international clients in Europe and Asia. Rebecca has also expertly resolved material errors made by others in transactions with the US Patent and Trademark Office, in applications under the PCT, or in foreign patent prosecution, including filing errors and errors in the payment of maintenance or annuity fees. Rebecca also has experience in litigation and USPTO contentious proceedings. Rebecca has substantial experience in many technical areas, but has focused primarily in the life sciences, with specific areas including: antibodies and variants; bacteriotherapy and probiotics; cell signaling and signal transduction; coagulation proteins; cosmetics and consumer health products; diagnostics and detection methods; electrochemiluminescence assays; fusion proteins; gene mutations; gene cloning and expression; genetic engineering; immunooncology; infectious diseases; liposomes; markers and the molecular bases of diseases; microbiology; neuroscience; new methods of treating diseases and new uses for known compounds; protein purification; salt forms of pharmaceutical compositions; single molecule sequencing; small molecule therapeutics; and vaccine technology. Prior to founding McNeill Baur PLLC, Rebecca practiced law at another small firm. She also served as the Head of Intellectual Property and Legal Affairs at Seres Health, Inc., a microbiome company. Rebecca defined and executed the IP objectives, strategy, and plan for Seres Health, including filing new applications, providing freedom-to-operate assessments, and drafting and negotiating a wide variety of agreements. Rebecca also spent 17 years at Finnegan, Henderson, Farabow, Garrett & Dunner, LLP. Rebecca, leading our Massachusetts office, has made significant corporate sponsorships to the Museum of Science, Boston and the BioBuilder Educational Foundation Apprenticeship Challenge to invest in the next generation of inventors. Rebecca also has a strong dedication to pro bono legal services and sponsors the Massachusetts office commitment to Greater Boston Legal Services at the Leadership League level. Rebecca has also represented individuals needing pro bono legal services, including first-chairing a felony criminal trial and obtaining increased benefits for disabled veterans. 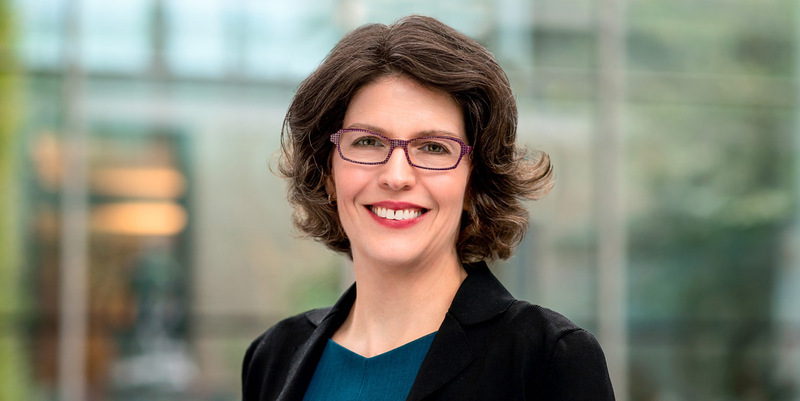 Rebecca has held prominent leadership positions in a variety of organizations, including Secretary of the Boston Patent Law Association (2019-present), Member of the Board of Governors of the Boston Patent Law Association (2018), co-chair of the Boston Patent Law Association Biotechnology Committee (2017), co-chair of the Boston Patent Law Association Chemical Patent Practice Committee (2013-2016); co-chair of the MassBio IP Committee (2011-2012); DC Bar Board of Governors (2007-2011); DC Women’s Bar Association Foundation Board Member (2007-2008); and Women’s Bar Association of the District of Columbia (Board member, IP Forum co-chair (2001-2007)). “Recruiting On-Ramp Employees,” Best Friends at the Bar, April 10, 2019. “Patent Prosecutors Take Caution From Recent Federal Circuit Decisions Impacting Claim Construction,” BNA’s Patent, Trademark & Copyright Journal, December 6, 2013. “Considerations for US Patent Attorneys When Drafting Patent Applications to Maximize Prosecution Opportunities in Europe,” Bloomberg BNA World Intellectual Property Report, November 1, 2013 (coauthor). “How will Patent Reform Affect the Software and Internet Industries,” Computer & Internet Lawyer, December 2011 (coauthor). “Caveat Venditor- Advance Planning for Startup Technology Companies,” Bloomberg Law Reports, October 17, 2011 (coauthor). “Using Supplemental Examination Effectively to Strengthen the Value of Your Patents,” BNA’s Patent, Trademark & Copyright Journal, Sept. 30, 2011 (coauthor). “Preparing your Startup Patent Portfolio for Sale,” VentureBeat, Sept. 1, 2011 (coauthor). “Late-Executed Assignments in PCT Applications Can Impact Rights Across Different Jurisdictions ,” BNA’s World Intellectual Property Report, Sept. 2011 (coauthor). “Treatment of Business Method Patents in Pending Patent Reform Legislation: Bilski Backlash?,” BNA’s Patent, Trademark & Copyright Journal, July 15, 2011 (coauthor). “The Pay-for-Delay Dilemma: Changes and Challenges Are on the Horizon for Innovative Pharmaceutical Companies,” Pharmaceutical Formulation & Quality, June/July 2011 (coauthor). “How to Maximize Value from A U.S. Provisional Patent Application”, Commercial Times, June 7, 2011 (coauthor). “Reform Law Would Allow for Quick Challenges to Patents,” The National Law Journal, May 9, 2011 (coauthor). “Mexico Gets on the Patent Prosecution Highway,” Law 360, April 7, 2011 (coauthor). “Special Feature—Patent Legislation – Meeting the Challenges of Reform?” Intellectual Property Today, Jan. 28, 2011 (coauthor). “International Patent Prosecution for Applicants from Taiwan,” Economic Daily News, May 3, 2010 (coauthor). AIPLA Women in IP Global Networking Dinner, Boston Chapter, Making it Rain, April 4, 2019. Strafford Publications Webinar, Maximizing Patent Prosecution Opportunties in Europe: Tactics For Counsel When Drafting US-Origin Applications, January 10, 2019 and August 6, 2015. Strafford Publications Webinar, Patent Cooperation Treaty: Evaluating the Benefits and Risks, Obtaining International Patent Protection, September 14, 2017. AIPLA Webinar, Patent Drafting and Prosecution Guidance from Recent Claim Construction Decisions at the Federal Circuit, April 16, 2014. Strafford Publications Webinar, Maximizing Patent Prosecution Opportunties in Europe: Tactics For Counsel When Drafting US-Origin Applications, January 23, 2014. BPLA Chemical Patent Practice Committee, Moderator, Lifecycle Management: Strategies and Techniques for Maximizing Exclusivity—a View from Both Sides, October 3, 2013. BPLA Chemical Patent Practice Committee, Moderator, Threats and Opportunities in Proceedings before the EPO with an update on the Unified Patent Court and Unitary Patent, September 12, 2013. MassBio IP Committee, Moderator, Thriving and Surviving Under the Due Diligence Spotlight, January 18, 2012. Key IP Legal Events in 2011 and a Look Ahead to 2012, December 2, 2012. MassBio IP Committee, Obtaining a High Quality Reliable Patent, November 16, 2011. Webinar: Using the America Invents Act to Your Advantage at the USPTO, October 18, 2011. MassBio IP Committee, Making Strides in Patent Reform: Making Sense of the Impact on Your Business, June 17, 2011. Understanding US Patent Reform and How it May Impact Your Business, May 10, 2011. 2010 Federal Circuit Highlights, February 17, 2011. USPTO Update: A Year Under Kappos, October 7, 2010.